The ceramic travel mugs from my Society6 shop are double-walled with a press-in suction lid that ensures long lasting temperatures while minimizing the risk of spillage. 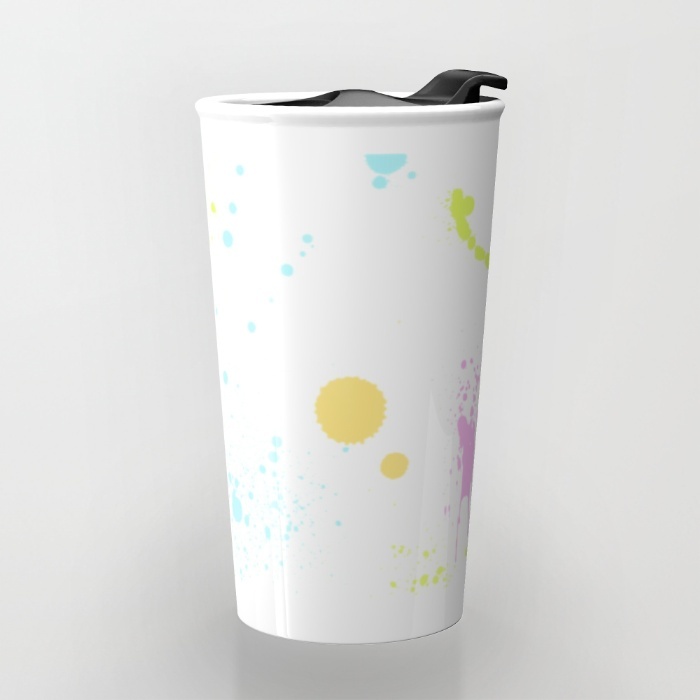 Standing at just over 6" tall with wrap around artwork, they hold 12oz. 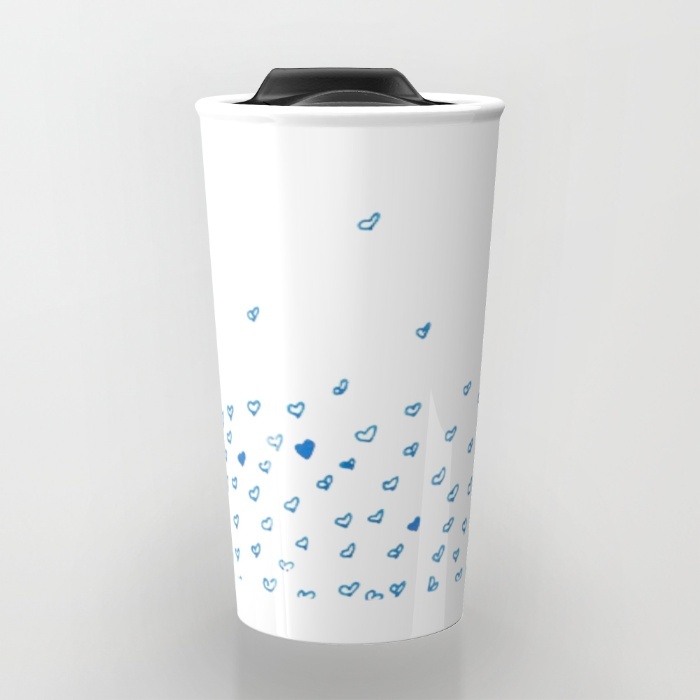 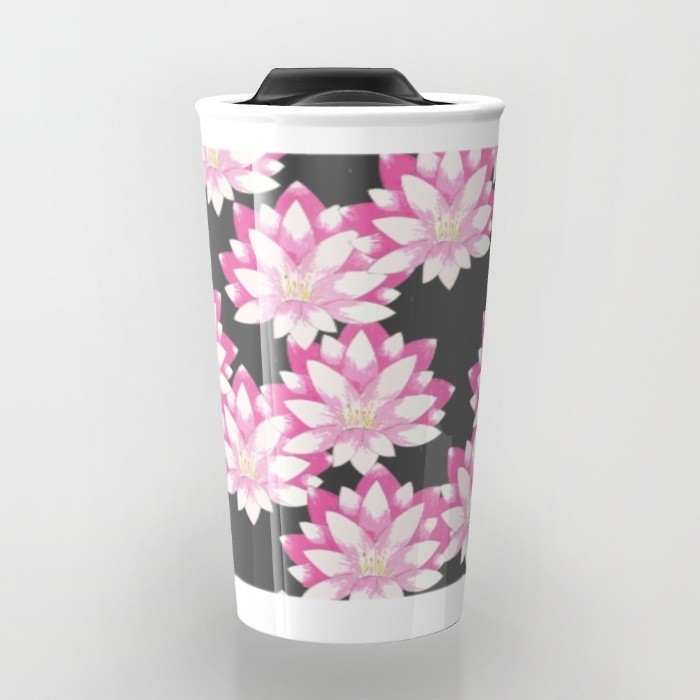 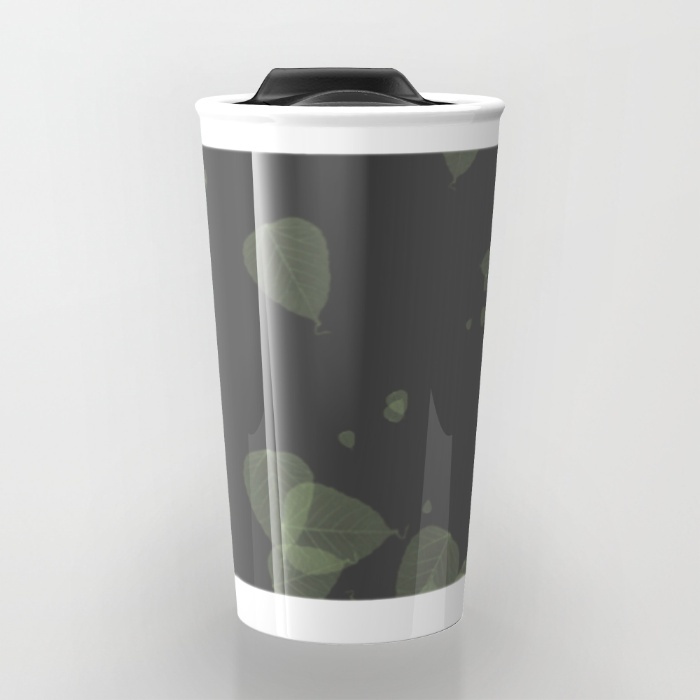 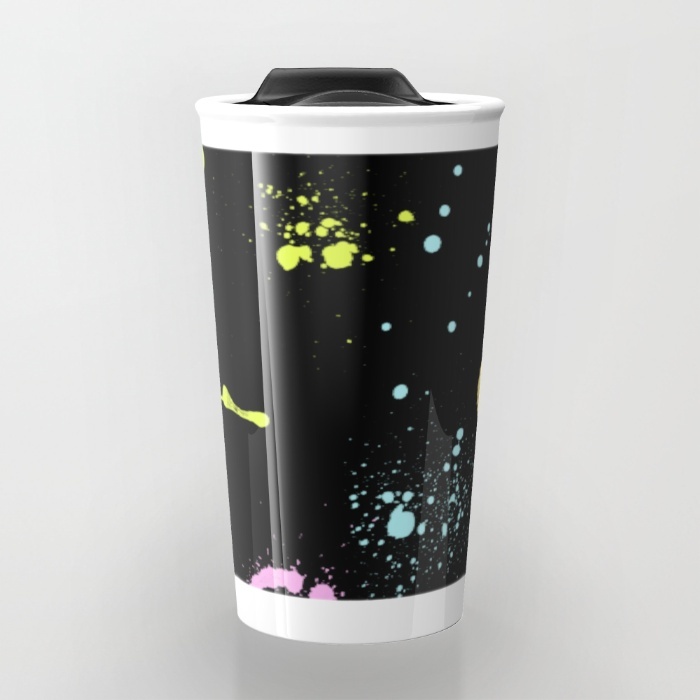 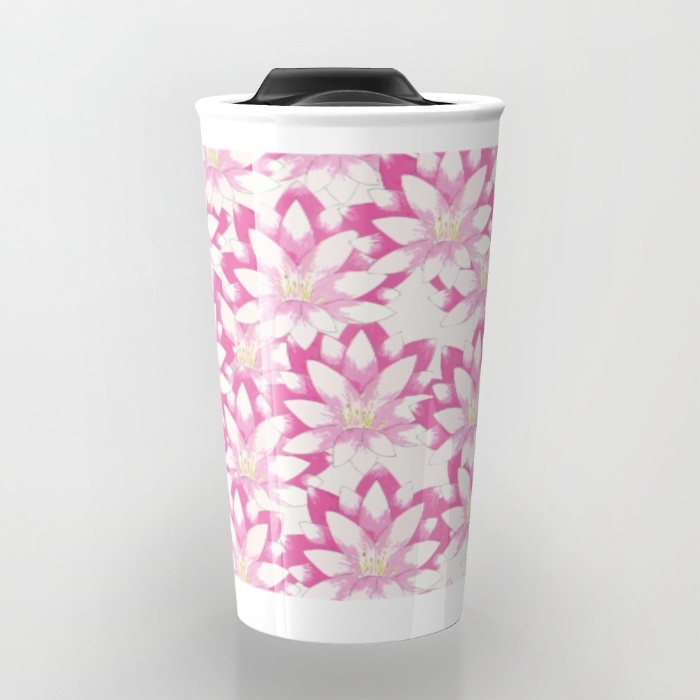 All ceramic travel mugs I designed can be found here.